You'll be £11.99 closer to your next £10.00 credit when you purchase Mozambican Civil War. What's this? Order within the next 4 hours, 48 minutes to get your order processed the next working day! As the Cold War raged on in the 1970s and 1980s, much of southern Africa, from Angola to Mozambique, became caught up in the superpower competition as local and regional proxies for both Moscow and Washington fought it out on the battlefield. Thus, the struggle to determine the future of a newly independent Mozambique was shaped by multiple factors beyond the control of its people in the course of its 16-year conflict from 1977–1992. These factors also contributed to the longevity and ferocity of the Mozambican war that would leave an estimated one million dead, millions more displaced and made homeless, and a country in ruins. From the rise of the Resistência Nacional Moçambicana, or Renamo, in 1977 as a Rhodesian weapon against Zimbabwean nationalist guerrillas operating in Mozambique, through South African patronage in the 1980s and to Renamo’s evolution as a self-sufficient insurgency, the forces of Mozambican nationalism became inexorably intertwined with the geopolitics of the region and the international manifestations of the Cold War. Thus, both government and rebel forces found themselves repeatedly beholden to external interests – be it American, Soviet, Cuban, South African or Rhodesian – as each sought to advance its own agenda and future vision of the country. However, it would be Mozambicans themselves who spilled their blood in a clash of men and arms that spanned the length and breadth of the country. And ultimately this is their story of sacrifice and triumph. Emerson manages to keep the attention On a conflict that makes it clear how often certain wars can be useless and especially detrimental to both sides in battle. 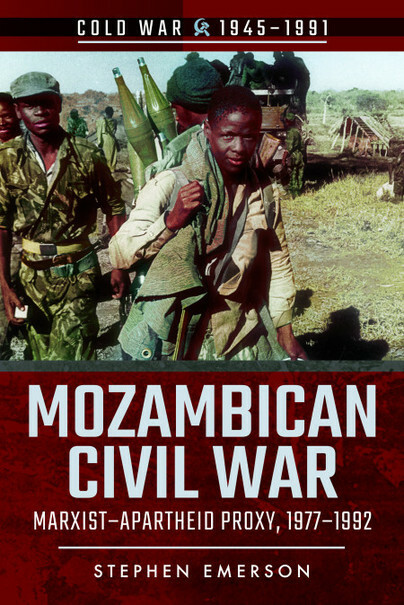 I did Not know much about the Mozambican Civil war but I must say that this book drew my attention to this subject, on the involvement of Rhodesia first and South Africa then and on the military and political situation in that corner of Africa. Stephen Emerson was born in San Diego, California into a U.S. Navy family; his father was a career naval aviator and his mother a former Navy nurse. Steve and his siblings grew up on various Navy bases during the Vietnam War. His father served two combat tours in Vietnam flying both the A-4 Skyhawk and the A-7 Corsair II and participated in Operation Rolling Thunder while flying off the U.S.S. Midway in 1965 with Attack Squadron 22. Steve worked as intelligence analyst covering political-military affairs in Africa and the Middle East before embarking on an academic career. He served as Security Studies Chair at the National Defense University’s Africa Center for Strategic Studies and previously as an associate professor of National Security Decision-making at the U.S. Naval War College in Newport, Rhode Island. Steve has written widely on subjects from American national security affairs and political instability to terrorism, African conflicts, and counter-insurgency. Chief among these are his critical assessment of U.S. counter-terrorism policy in Africa, ‘The Battle for Africa’s Hearts and Minds’, and his comprehensive military history of the Mozambican civil war in The Battle for Mozambique. He holds a PhD in International Relations/Comparative Politics from the University of Florida and currently resides in Orlando, Florida.